Like all routines that are established, you have to know your class and see what works best. There is no 'one way' of doing this. I will present how I implemented the practices in my kindergarten classroom, please adapt as needed. Next, discuss the brain and its importance. Let students know some of the other things that the brain takes care of in the body; blinking, heart beats, breathing...Discuss way that they can take care of their brains; lots of sleep, eating healthy food, drinking water, limit TV and screen time. Finally, have students begin deep belly breathing. Have them put their hands on their stomachs and feel as they breathe in and out. Do this at least three times. Let them know that their breath is an anchor and describe what an anchor does. Practice this breathing each day or throughout each day. Remind students why they are doing this. Encourage students to do this when they are feeling strong feelings. Second Step Program posters that model belly breathing, empathy, and problem solving. 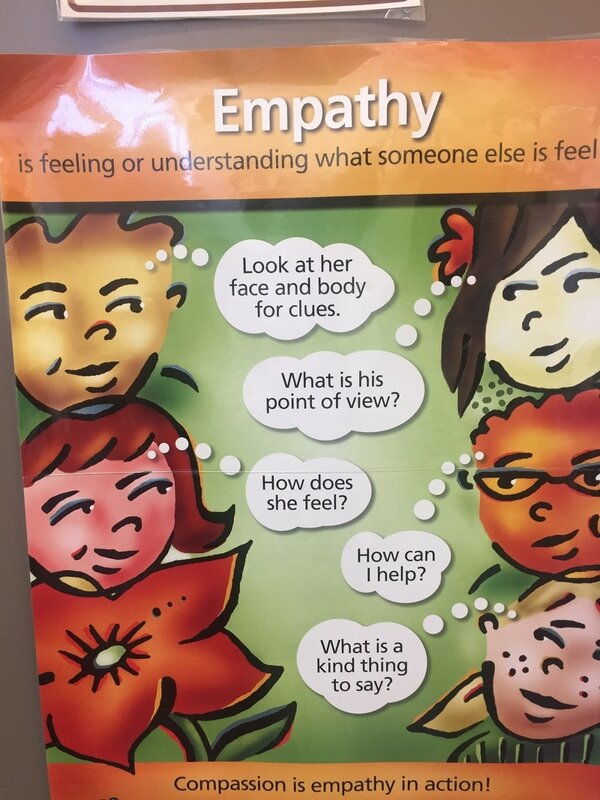 As the title implies, this method of implementing Social and Emotional Learning (SEL) helps to build a sense of community in your classroom. Students at risk need more support to handle the stresses of home and school life. At my school site, Shearer Elementary, teachers in grades K-5 are committed to beginning their day with a Community Circle. The circle can serve various needs; check-ins, complements, class meetings, team building activities, behavior management... This time set aside to give attention to the emotional needs of each individual and the class as a whole reinforces for the child that they are important and that their feelings matter. The Community Circle lets each child know that they are a part of a group that cares for them and that they have a responsibility to the group. In order to promote communication, teachers created sentence starters to prompt the students to speak in complete sentences during this time. Students may talk with partners, small groups, and whole class, depending on the purpose of the day's circle. I have impromptu Community Circles when I can see that there has been some drama at recess or if students are not being respectful of one another. 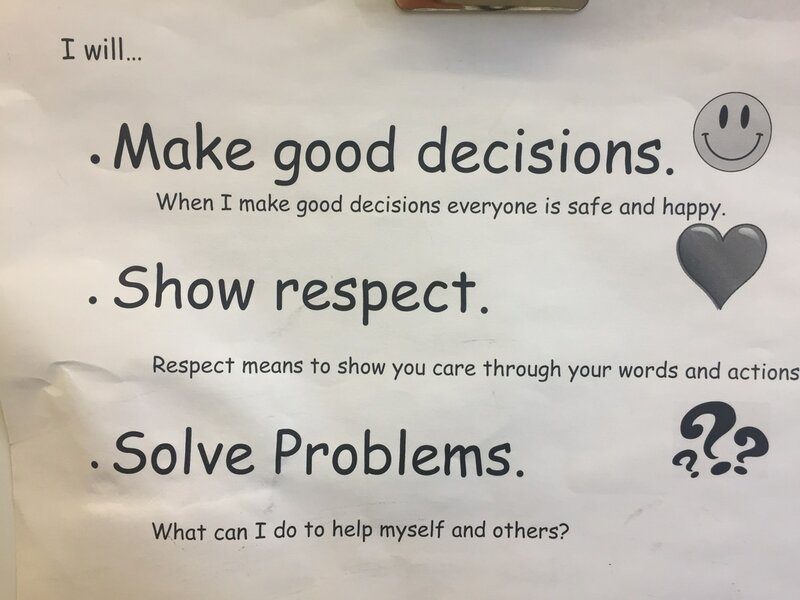 This reinforces the idea that what one of us says and does affects us all and we are all going to help in the problem-solving. 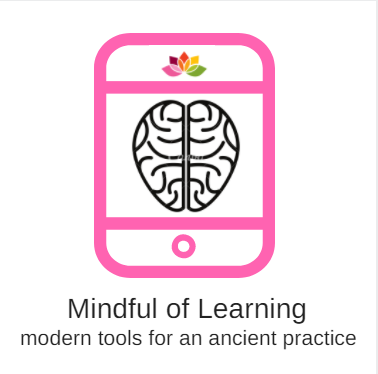 Digital apps on tablets and phones are a great way to keep the mindfulness practices at your fingertips and in the hands of the students. The apps I use are free and I had them added to our classroom iPads so that students could access them during lessons or as needed. I used my phone to time our silent moments in the morning. I started the timing at 30 seconds and we did our deep breathing for that time. I then let the students know that our goal was to increase the amount of time that we were silent and I increased it slowly over weeks. We never made it past a minute and a half. Inevitably someone would start giggling to let us know that they had met their limit. Don't expect a lot of silence or perfect behavior. This is about setting a positive tone and some days will be better than others. 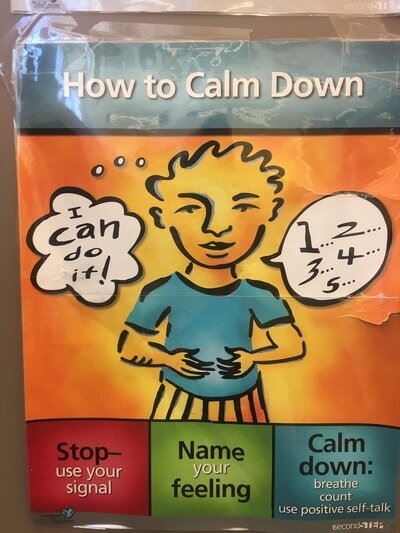 While the Calm Kid app was added to the classroom iPads, I found it easier to just use my phone. The low amplification forced the students to be quiet while they listened to the calm voice of a guided meditation. There are also nature sounds that are soothing. On a burning hot day I like to play the rain falling sound while I spray the students with water. The app will give you and the students choices which is always a benefit. 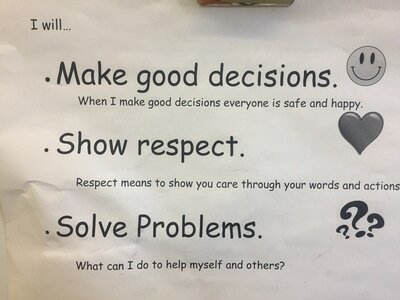 I signed up for GoNoodle, also free, and I would project the program activities onto the wall with the document projector. 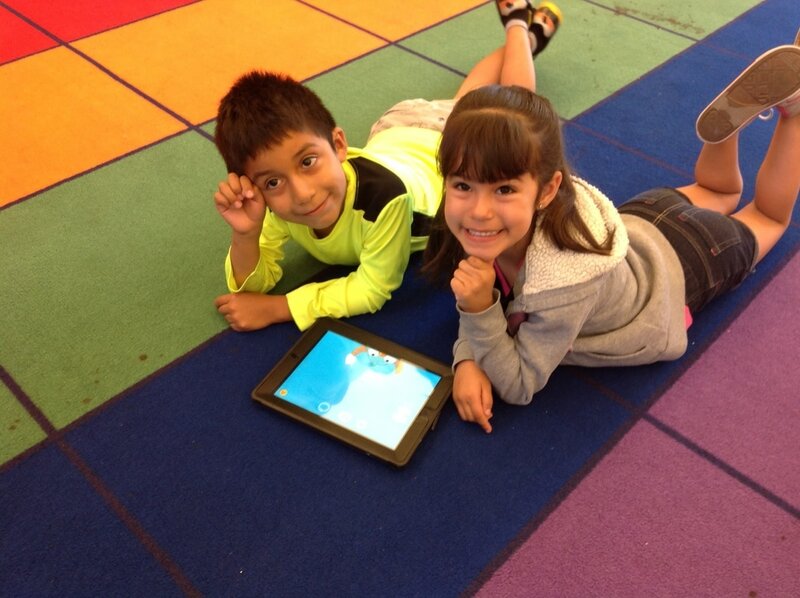 GoNoodle is very versatile with fun mindfulness activities, yoga, chants, exercises, and dance. The graphics were very engaging. The class follows the activities in song and movement. This was a life saver during rainy days and is also great for brain breaks. The class has an avatar and each time they do the application the class gets points and this helps to make the avatar stronger. At the end of a cycle, the students get a certificate and the once wimpy avatar now looks like a body builder. They loved the gamification aspects of the application. 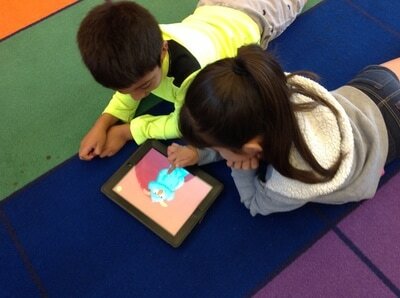 The Sesame Street app was modeled during lessons and then used in groups of two or three students. The monster in the game struggles with a problem and the students help him to solve the problems in steps; rub his belly to make him take deep breaths to calm down, think about possible solutions and then the monster has three solutions to his problem that the students choose for him. I integrated this tool into my ELD lessons and Community Circles. 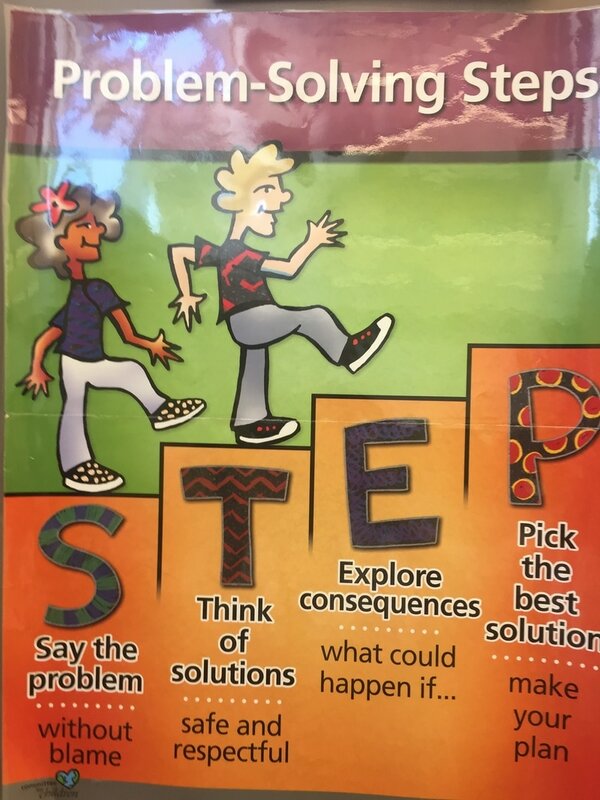 Students are encouraged to talk about the problem, relate it to something that they experienced, and then discuss why they chose that particular solution. Do let the parents know that you are doing mindfulness in the class and share all of its benefits. They most likely need this for themselves as well. Let them know that just breathing deeply to let strong feeling pass will help in stressful situations. Inform parents of the free apps that are available to them on their phones and devices. Let them know that programs are available in various languages too. Many of the apps include sleep stories for children and adults which would be extremely helpful on the home front. In general, the use of mindfulness at home will help to provide a calm home environment which will also improve the students' school day. Sharing with your co-workers is always a great idea. Share links, books, videos, experiences, successes, and struggles in order to help more students succeed and to improve your mindful instruction.